With Thanksgiving a few days away, StudyDog, an online reading program geared toward elementary students, recommended nine stories to teach children about the holiday and the importance of giving. There are a number of wonderful books parents can read with their children and talk about what they are thankful for, along with the history of Thanksgiving and some of the popular traditions. November is a wonderful time to teach children about the importance of gratitude and being thankful for different parts of their lives. With Thanksgiving just a few days away, StudyDog, an online reading program geared toward elementary students, recommended nine stories to teach children about the holiday and the importance of giving thanks. Click here to learn about how kids who use StudyDog keep their reading skills sharp while away from school during the holidays. “Thanksgiving is for Giving Thanks” by Margaret Sutherland, illustrated by Sonja Lamut – This book has an engaging way of helping children think about what they are thankful for as they read along. The book includes beautiful illustrations that celebrate the holiday and how it brings together family and friends. “One is a Feast for Mouse: A Thanksgiving Tale” by Judy Cox – A mouse becomes overly zealous in storing a collection of Thanksgiving leftovers, until a cat steps in and takes everything but a pea. This book teaches the importance of gratitude for even the small things in life. “If You Were At The First Thanksgiving” by Anne Kamma, illustrated by Bert Dodson – Written in a question-and-answer format, this book shares facts about what life was like for Plymouth settlers from a children’s perspective. “‘Twas the Night Before Thanksgiving” by Dav Pilkey – This story was adapted from Clement Moore’s famous Christmas poem. The humorous Thanksgiving tale is about children who visit a turkey farm for a school field trip. They have fun playing with the turkeys, but then learn about the fate of the birds to become Thanksgiving dinner. The kids try to save their new feathered friends. “Thanks for Thanksgiving” by Julie Markes, illustrated by Doris Barrette – A simple story that introduces children to the importance of being grateful and giving thanks. The book teaches kids to be thankful for big and small things, and includes a page in the back where children can write what they are thankful for. “I Know an Old Lady Who Swallowed a Pie” by Alison Jackson, illustrated by Judy Schachner – A play on the song “I Know an Old Lady Who Swallowed a Fly,” this is an amusing tale of a woman who eats a family’s entire holiday feast, with fun word play and delightful illustrations. “The Thankful Book” by Todd Parr – A cheery celebration of all the simple, day-to-day things children can be thankful for like music, school and family meals. “The Ugly Pumpkin” by Dave Horowitz – A holiday twist on “The Ugly Duckling,” the story uses rhymes to tell about an odd-looking pumpkin left alone in the patch after Halloween. The pumpkin tries to find a place to fit in and by Thanksgiving finds out he is something entirely different in the surprise ending. “Balloons over Broadway: The True Story of the Puppeteer of Macy’s Parade” by Melissa Sweet – Watching the Macy’s Thanksgiving Day Parade is a holiday tradition for many families. This award-winning book tells the story of the man who invented the famous helium balloons featured in the parade. StudyDog is a proven leader in helping children quickly learn to read and has helped more than 6 million kids master basics like phonics. The company creates interactive reading programs specially designed for elementary students. What sets StudyDog apart from other learning programs is how StudyDog engages future readers as young as 3 years old. Similar reading software is able to engage older students who already know how to read. But StudyDog uses games and other features to connect with younger children who haven’t learned to read yet. StudyDog’s Adventures in Reading series is used in more than 3,000 schools nationwide. The lessons were designed to meet state early learning standards and the guidelines of the National Reading Panel. 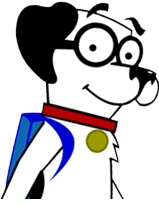 Founded in 2002, StudyDog programs have been used in schools for the past six years. For more information, visit http://www.studydog.com or call 1-866-643-4449.